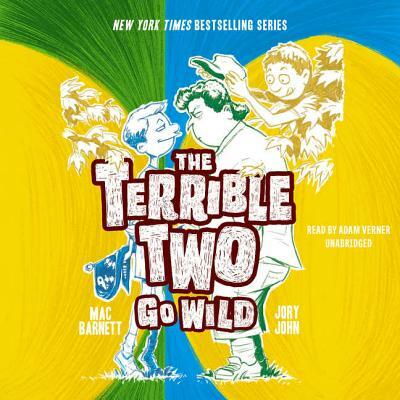 From superstar authors and friends Mac Barnett and Jory John comes the third installment in their smart and funny New York Times bestselling Terrible Two series, The Terrible Two Go Wild. Everyone's favorite pranksters and founders of the International Order of Disorder are at it again Miles and Niles find themselves marooned for the summer at Camp Good Times, which is all about peace and good vibes. (Can you say BOR-ING?) With no clear prank-ortunities, the Terrible Two fail to see what about all of this is so good. But when kids from the nearby Yawnee Valley Yelling and Push-Ups Camp raid Good Times' super-secret candy stash, the campers look to Miles and Niles for help.Will our heroes break free from the feckless feel-goodery of Camp Good Times? Are their sharp minds and close friendship a match for the fists of the rival campers? And why has Stuart changed his name to Tree? All these questions, plus some other ones you haven't thought of yet, will be answered in The Terrible Two Go Wild.